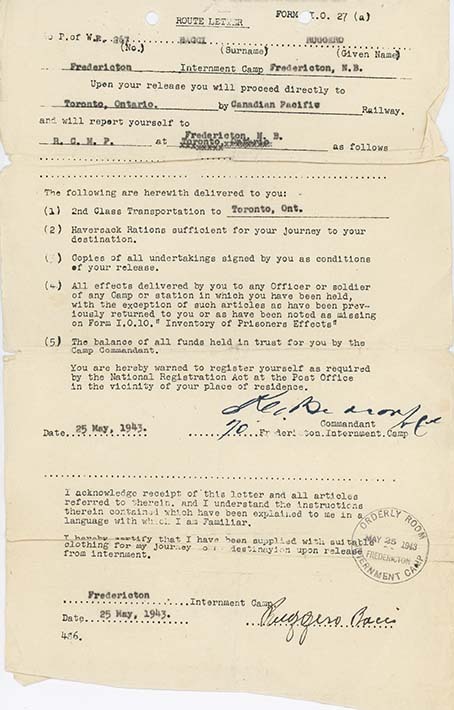 Route letter for Ruggero Bacci, issued by the Commandant, Fredericton Internment Camp, May 25, 1943. The document was issued to Bacci upon his release and is also signed by him. A standard form, it notes the second-class train ticket provided, along with a food ration for the return home. The internee also acknowledges receipt of his personal effects and the balance of his camp account.